Our second Kuala Lumpur data management event, on Tuesday October 8, looks at ways oil and gas companies can improve subsurface data management - including production data, seismic data, metrics, improving collaboration, and contractor data. Attend this event to learn from the experts about the best ways to manage production data quality, validate seismic data, improve technical data quality with collaboration, improving geoscientists' productivity, providing geoscience data via private cloud, using data quality metrics, and ensuring your contractors maintain data quality. Data standards are an essential component of the data management challenge in any organization. This is especially true in an upstream E&P organization where the cost of data acquisition is significant and the data entropy effect is high. Much of the value of data is derived in workflows, reusability and sustainability. However, the creation of good data standards is not easy. It is not exciting, with no quick short term gains, it is tedious, requires meticulous checking of dependencies within the organization as well as knowledge of the availability of similar work outside the organization. Very often, this work is also not well recognized. With the recent creation of a Technical Data Division with PETRONAS E&P, data standardization is given due recognition as an important part of the Technical Data Management Framework. This paper describes the phased approach that is now being followed to build up PETRONAS E&P’s data management capability for the longer term. How this facilitates centralised data management and data analytics. Santos has been providing Australia with natural gas from the remote outback for more than 40 years, and today is one of the largest producers of natural gas for the Australian domestic market. Santos has also developed major oil and liquids businesses in Australia and operates in all mainland Australian states and the Northern Territory. People, process & technology are often touted as the 3 important components an organization must have in order to ensure that the data is managed properly and effectively. 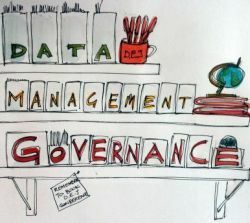 While that is true to a large degree, the existence of this tripartite in the organization does not necessarily support the sustainability of good data management practices over the longer term. Data quality today still remains as a significant challenge we face in the E&P industry. For the data we use within upstream E&P, data quality metrics, when implemented in the right databases, creates a transparency that cannot be easily achieved by any other means, and provides us with a powerful tool to highlight issues before the problem becomes too big. A proper data quality framework also address data issues in holistic way and combines with data ownerships and accountabilities to ensure the right interventions and corrections get done. This paper describes PETRONAS E&P’s data quality metrics initiative that will progressively improve the quality of data used by the business and result in a traffic-light format data quality dashboard that gets more and more green. Hassan Sabirin is the Data Quality Metrics focal person for Technical Data at PETRONAS. He graduated with a BSc Computational Geoscience from Imperial College London in 2007. Having started off his career as a Wellsite and Exploration Geologist, he is familiar with the various Exploration activities. Sharifah Dalila or better known as Dell graduated from Multimedia University in Media Innovation (Advertising). She has 2 years working experience in Media Relations with Malaysia National News Company (BERNAMA) and 4 years experience in Mindset and Change Management, PETRONAS. She joined Data Management in October 2012 and has been dealing with PSC data submission compliance, data disclosure and due diligence audit. Her most favourite city is Paris.